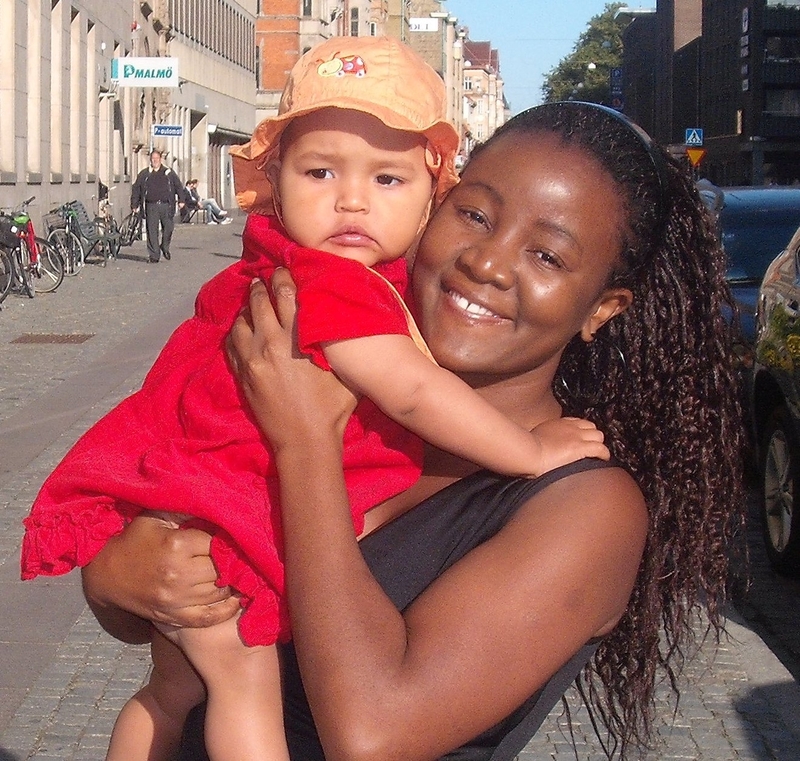 By Ennita Nilsson from the YWCA of Zimbabwe was a one-year intern in 2003. What an opportunity. Some people wait for a long time and 2003 was for Franziska Schönholzer-Schmid from Switzerland and me to join the World YWCA (WYWCA) office in Geneva for a year. It was indeed a life changing opportunity for me to be selected as an intern at the World Office, after volunteering in Zimbabwe for 4 years. It was not easy growing up in Zimbabwe as a young woman. At the time when Zimbabwe was one of the countries with the highest HIV and AIDS prevalence rates, among other diseases and on-going problems such as poverty, drought, and violence against women, including forced marriages, political violence, economic and social problems. It was difficult to imagine a fruitful environment where a young woman could enjoy her youth and flourish. Most of my peers have since died of HIV and AIDS due to a lack of access to medication and a lack of awareness. Looking back, I was lucky to have escaped and I credit this mostly to my involvement with YWCA activities from a young age. When my aunt passed away in 1998, my grandmother gave me her neatly filed box with the words “YWCA” written on it. She believed in the values of the YWCA and yes, this was my inheritance. My world started to unfold, as I opened the box. I was united with the YWCA of Zimbabwe through written documents. I was curious to find out more about their work. I did some research and I was able to get connected to my aunt’s friends Silvia, Mrs Mhlanga, Mrs Rushwaya and Mrs D. Nyoni, to mention but a few. My first visit to the YWCA in Mkoba turned into a life-long home for me. I had found a place that moulded me into what I am today. I became involved with YWCA activities and I was selected to serve as the branch secretary, quickly progressing to National Youth Secretary and finally to the YWCA of Zimbabwe Youth President. For over four years, I was groomed to be the new upcoming YWCA of Zimbabwe ambassador. Mai Matindike (The General Secretary) and Babra Chakanyuka (National youth programmes officer) did not hesitate to send me to various places in Southern Africa to advocate on women issues around the globe. Together with many good friends I met such as Rejoice Matanga, Regina Hama, Victoria Ngezi, Audry Tauro, Sitha Nyati, Sakhile Ndovu and Charity Chabata we boosted each other’s confidence and we remained friends for life. In 2001 I attended the Africa Regional meeting in Nairobi, Kenya. I met wonderful YWCA friends and, especially Dr. Helene Yinda and Michelle Higelin. We learnt about the movement and how it began, its vision, mission and strategic plan. Dr. Musimbi Kanyoro (former WYWCA General Secretary) gave a keynote speech. An inspiring woman who was speaking softly, passionately and very committed to the cause. My desire to be part of such a movement was reinforced. Upon returning home after such an inspiring meeting, we continued to create a safe environment for young women in Zimbabwe. A year later I applied to the World YWCA for the internship programme and the YWCA of Zimbabwe did not hesitate to endorse me. Upon receiving the news that I was accepted, I was exhilarated. I packed my bags and moved to Geneva to start my internship on the 15th of January, 2003. We received a wonderful welcome and began to work immediately with the various departments. Through mentors at the World Office, I learnt to write, advocate, give presentations, and support countries in Africa in project proposal writing. I was also tasked with assisting the General Secretary. The biggest highlight was when I was tasked to prepare and organise the Young Women’s Forum during World Council. I represented the World YWCA at various high level meetings in Hungary, Ethiopia and in Geneva. The experience taught me to stay focused, work hard, and explore opportunities. The year ended too soon, as I was finding the experiencing exciting and fascinating. I wish I could have made the time stop. At the same time I was thinking of various ways I could go back and transfer the knowledge and skills I had learnt to the YWCA of Zimbabwe. In 2004, I was accepted for another internship with the International Community of Women Living with HIV (ICW) and AIDS in London, funded by the Norwegian Church AID. The major highlight for me was when I successfully helped to organise the International AIDS Conference in Bangkok, Thailand. There, in Thailand, I met the love of my life, Ulf Nilsson, and in 2008 we were blessed with Elin Ruvarashe Nilsson. A year after my second internship with ICW, the Director Fiona Hale, offered me a job as the Partnership Officer between the World YWCA and ICW. I was tasked to facilitate the first partnership intern between ICW positive young women and the World YWCA. I worked closely with the YWCA Africa Regional meeting that was held in Zimbabwe in 2005. I went to my home country as one of the facilitators teaching health research and communication. In 2006, I joined Save the Children UK (SC) as the Child Protection Coordinator, another significant post in my life, where I worked with various funding agencies. I undertook budget development and monitoring, reporting to the donor, project proposal writing and liaising with various organisations. During my spare time, I was volunteering with SOPHIA, a network of women and organisations around the UK, part of the UNAIDS-coordinated by Global Coalition on Women and AIDS. In 2007, l decided to focus more on health scientific studies and resigned from SC. In 2008, I joined Health Protection Agency on a grant funded by the European Commission (EC) as the Project Coordinator. The same year, Elin was born and I took some time off from studies and work. In 2009, I graduated with a postgraduate Diploma and a Masters in Public Health. That was a very important stage of my life. Celebrating such success, I felt my mission in London was complete! In 2009 we moved to Sweden where I took the role with the WHO International Drug Monitoring Centre as the Monitoring Medicines Project Manager. It looks like my dream to further my studies is not complete until I embark on a Doctorate in Public Health (DrPH). Meanwhile, I continue to work to improve global health and women issues. My sincere gratitude to the YWCA of Zimbabwe, friends, family, and the World YWCA for affording me the opportunities and mentoring that empowered me and facilitated my growth as a young woman leader. World YWCA staff stay blessed, and a very special thanks to Jane Bennett, Helene Yinda, Musimbi Kanyoro, and Alice Welbourn for the support during the transition period from Geneva to London and beyond. The Young Women’s Internship Programme is a gift for life that can not be measured – it is priceless and it provides endless opportunities for young women and their communities long after they have left. I look back and I appreciate every moment. This is so inspiring Ennie, well done and keep up the good work. This piece brought back many memories from Zimbabwe, I am sure this is not the last we are hearing about you. Keep on shining and smiling.